Rhymefest’s award-winning film In My Father’s House will open in 19 cities across America on October 9. The film documents the Chicago native’s journey to reconnect with his absentee father. 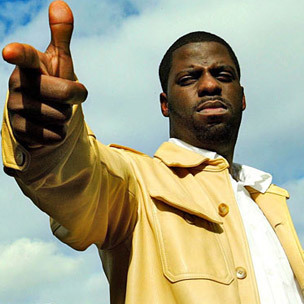 In recent interview with HipHopDX, Rhymefest touched-on the challenges he faced searching for reconciliation. “Without giving the movie away,” he said, “he’s an alcoholic. Being an alcoholic, that’s a disease. So I thought, ‘Yeah, I’m gonna reunite with my father and everything’s gonna be all great.’ I didn’t realize that when you’re dealing with somebody with a disease, at first everything is all good. People fill diseases with people—somebody who’s your girlfriend or boyfriend—and think ‘I’m better now because I got somebody to love me.’ Drugs is just a way to deal with depression. Alcohol is a way to deal with depression. In My Father’s House premiered during the 2015 Tribeca Film Festival and has since won Best Documentary at the Bentonville Film Festival and Southwest Airlines Audience Award Overall Winner at the Nashville Film Festival, among others. The film will show in Boston, Chicago, Dallas, Denver, Houston, Kansas City, Los Angeles, Miami, Minneapolis, New York, Orlando, Phoenix, Pittsburgh, San Diego, San Francisco, Seattle, Tampa, Washington, DC and Atlanta.